Affiliate Links: If you click on a link in this post, I may make a very small commission. A few items in this outfit were gifted by Emerald Cuff. I’m loving that the 70s are back this fall and I feel like I’m channeling my bohemian side with this long, flowing maxi dress and my military green fedora. 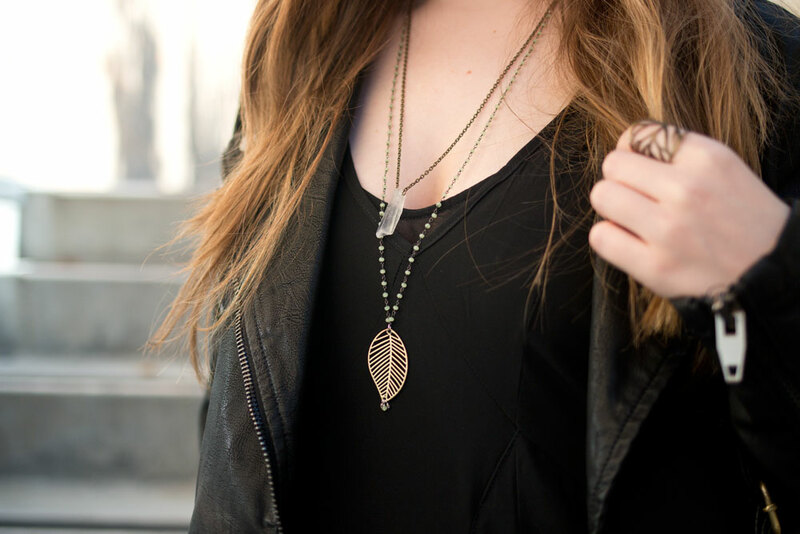 The long crystal and leaf necklaces play into that vibe as well. What I love is how easy it is to wear maxi dresses for fall with the help of a few key pieces and accessories. One of the small businesses I’ve been introduced to through blogging is Emerald Cuff, who sent me a collection a couple of months back. When they introduced some of their fall collection on their website, Erin, one of the Emerald Cuff founders, offered to send something from it my way, and I mentioned loving the Fremont Collection. A few days later, I got to meet each of the co-founders at their pop-up shop in Magnolia. I can’t say enough great things about them – they’re so kind and welcoming, and obviously have a good eye for pieces that will work for a variety of age groups and styles. And what’s even better is the pieces I’ve received have all been transitional. 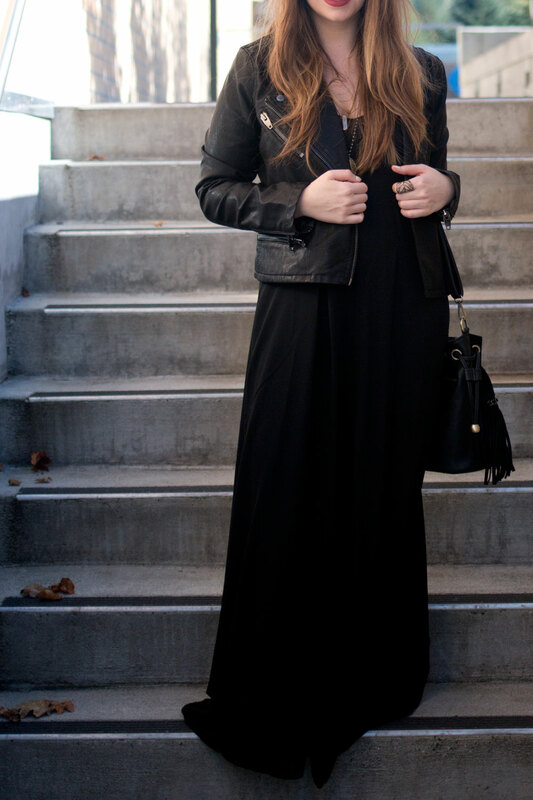 I can foresee styling this maxi dress year round. Maybe not when it’s pouring down rain or if we end up getting snow this year, but it will easily transition into spring, summer, and the warmer days in winter. Especially on our upcoming fall and winter trips in warmer climates! 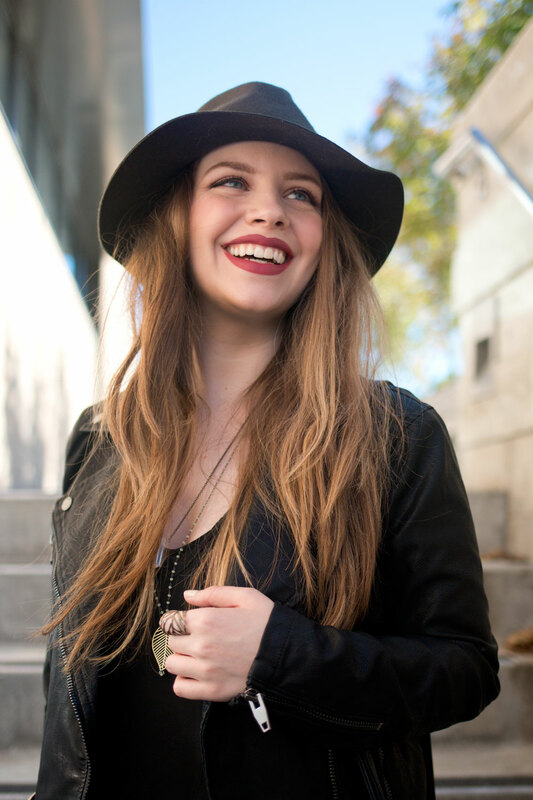 Do you have any pieces in your closet you love to transition to wear year round? Have you checked out Emerald Cuff before, and if so, what did you think? Looove that jacket. Mine bit the dust last winter, so I’m on the hunt for a new one! Thanks Chelsea! Definitely recommend this one, or any other jackets from BlankNYC. I think for the price the quality is really great! Love this look! That hat looks great on you! You look just so cool in this outfit. I love it. This might be my favorite outfit you have posted. Love! Aw, thanks so much Portia! Aw, thanks so much Jae! I think wearing one color definitely helps with the illusion! Hi Jenn, I clicked your link during Helene’s webinar and just wanted to let you know that I love your blog and style! This look is absolutely stunning! Aw, thanks so much Val! I’m sure you’d do great too! What a great outfit! Love your style! What was the basic you received? Aw thank Kristin! I received a brown skinny belt!